The Discovery Channel’s Shark Week program has become a cult favorite among Americans young and old. Each summer, for one week, the channel talks about one thing… sharks. They offer a variety of programs that talk about this mysterious, feared creature that capture fans’ attention for seven days. 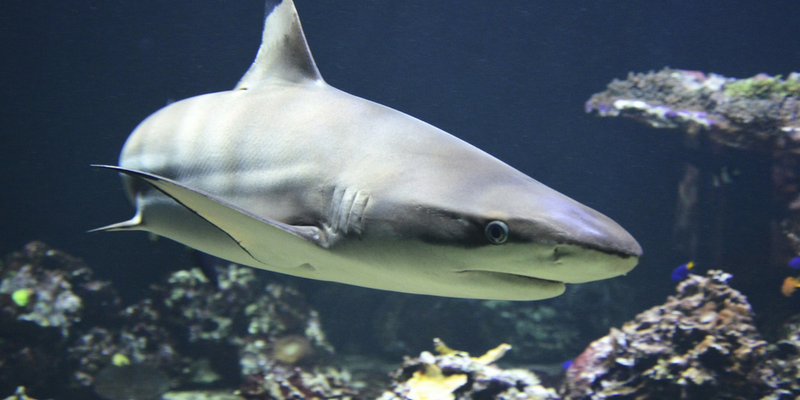 Whether you’re a shark or #SharkWeek enthusiast, we have a list for you! Keep reading to learn about five highly-rated charities that are working to advocate for and protect this unique and important creature. An official partner of The Discovery Channel’s Shark Week, Oceana is committed to protecting the health of the world’s oceans for the wildlife that live in them and the humans that depend on them. Oceana is dedicated to achieving measurable change by conducting specific, science-based campaigns with fixed deadlines and clear goals, and coordinating legal action. Since its founding in 2001, the organization has won over 200 victories and protected more than 4.5 million square miles of ocean. According to WildAid, “Fins from up to 73 million sharks are used in shark fin soup every year. Consumption of this luxury dish has led to overfishing of many vulnerable shark species, as well as to the inhumane practice of finning.” WildAid has run successful campaigns to raise awareness around this harmful practice and the toll it has on ocean health and, ultimately, our environment. The organization has been instrumental in changing consumer attitudes, convincing dozens of airlines and shipping companies not to transport shark fins, and persuading restaurants and hotel chains not to serve the dish. Did you know there are approximately 500 species of sharks? Of these species, 74 are classified as globally threatened and 26 others are classified as endangered or critically endangered. Overfishing is one of the main reasons these species are threatened or endangered. The Wildlife Conservation Society is working with partners in the United States to promote improvement in shark and ray fisheries management and adopt controls on trade in these species. And, their New York Seascape Program is conducting research on a number of sharks to inform conservation efforts of these species in the New York Bight. Fossils records dating back 400 million years suggest sharks have outlived dinosaurs and many other forms of life currently on earth. These creatures are essential to the natural order of marine ecosystems. But sharks face a severe threat from overfishing. The World Wildlife Fund believes restoring shark populations is key to improving the resilience of our oceans. Their conservation efforts are guided by the Global Priorities for Conserving Sharks and Rays, a 10 year strategy intended to restore the balance between humans and sharks. The Ocean Foundation connects donors interested in marine conservation with organizations and projects related to their specific interests. For example, The Ocean Foundation raises funds for Shark Advocates International, a leader in advancing science-based national and international policies to protect endangered shark species. Interested donors can view more projects on their website. You can use Charity Navigator’s Advanced Search Tool and Discover feature to find even more highly-rated charities working on marine conservation. If Charity Navigator has not heard of UMCOR then I'm not sure what Charity Navigator is.